By deeply immersing in scattered-site, small scale development and management of Below Market Rate homeownership programs, Hello Housing is uniquely positioned to understand how tools such as deed restrictions paired with creative financing can be used to swiftly increase the supply of permanently-affordable homes within the fabric of existing neighborhoods. Identifying new or unlikely financing partners, as well as a property pipeline, is a critical piece of the affordable housing puzzle at a time when traditional public funding sources are dwindling and long-time residents throughout the Bay Area are experiencing displacement. Hello R&D designs new approaches to infill housing development with the goal of creating permanently-affordable homes within the fabric of existing neighborhoods. 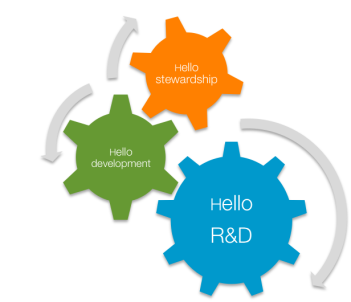 Creative financing, the use of deed restrictions, and public-private partnerships are tools in the Hello R&D toolkit. Learn more about projects underway.